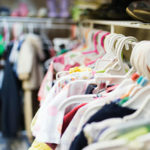 The CHOICE Parent Resource Center provides FREE baby clothes, maternity clothes, baby equipment and furniture to the community. All items have been donated to CHOICE, and are available to anyone in the community, regardless of whether they are CHOICE clients. The Parent Resource Center is open to the public on Tuesdays and Wednesdays from 11 a.m. to 9 p.m (please call to verify hours). Donations are gratefully accepted. CHOICE provides a free library of educational materials for anyone in the community, regardless of whether they are CHOICE clients. 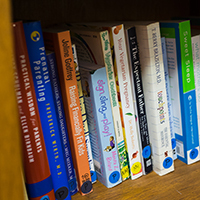 Our Library contains books and DVDs about pregnancy, childbirth (including home birth, Lamaze, LeBoyer), nutrition, breastfeeding, and infant care. Donations of books or DVDs to our library are gratefully accepted and tax deductible! CHOICE regularly holds educational events that are free and open to the public, colleagues, and all birth workers. We provide information on the various practices and techniques of childbirth, and the options available to parents in hospitals, birth centers and the home. CHOICE is also available for private booking for groups interested in alternative childbirth education and related topics. This includes slide presentations, films, and an opportunity for discussion following the presentation. If you are interested in having CHOICE at your meeting or event, please contact us here or email us at office@choicemidwives.org. This is an opportunity to meet with our midwives, discuss what childbirth options are available in the community, and help you determine the best choice for your family. There is no charge for this time, regardless of whether or not you decide to use our services. Let us know if you are interested in scheduling your free consultation. The Abby J. Kinne fund was initiated in loving memory of midwife, Abby J Kinne. The fund was created to provide financial assistance to apprentices and midwives to further their education in midwifery. Abby was dedicated to teaching apprentices to carry the torch forward. She believed that in her lifelong career as a midwife, she had acquired a set of skills unique to midwives that are essential to pass on to apprentices. Abby believed that midwifery had something unique to offer the women midwives served by providing the most educated and experienced care possible. Below, you will find a link to raise funds for the Abby J. Kinne Fund. We appreciate all of your support in helping to further midwifery education by making a donation to the Abby J Kinne fund! If you would like to make a tax deductible donation directly to the Abby J Kinne fund, please send your check to CHOICE, 2584 Oakstone Dr, Columbus, Ohio 43231 or donate through the link below. We believe that all families should have the opportunity to access the support and education provided by CHOICE. The Mothership Fund provides financial assistance to families who complete an application process and meet certain qualifications for home birth, doula, or childbirth education fees. This increases access to alternative birthing options and education for families that we serve. If you are interested in applying for the Mothership Fund to help offset the cost of CHOICE services please pick one up the next time you are in the office. Learn more about the Mothership Fund and how to apply.